If you’ve been applying for jobs and have been struggling to get interviews or even hear back from employers or recruiters, then it would certainly be worthwhile taking a look at your CV and making some changes. Here are some basic tips on how to improve your CV that should help. Employers and recruiters see many CVs – sometimes hundreds of them. They generally make a judgement call on how suitable a candidate is within seconds of glancing at a CV. If your CV is littered with spelling mistakes and grammatical errors, it is pretty likely that it will go straight on the rejection pile. Of course you should use the spell check function but a pair of fresh eyes won’t go amiss either. Get a friend or family member to take a look over it and edit or amend where necessary. This is something that we really can’t stress enough. An employer wants to feel that you really want to work for them. They don’t want to receive a generic CV that you’re sending out en masse to anyone and everyone. Make sure that you tailor your profile to indicate that you have relevant skills, experience and aspirations for the particular role that they are advertising. Look at the job advertisement, the job specification if you can and ensure that you are fully highlighting in your CV the key criteria that the employer is seeking. Whilst employers want to find out all they can about prospective employees, that does not necessarily mean an entire life story. There is absolutely no need for you to list every job you have ever undertaken or every single internal company course you have ever attended. 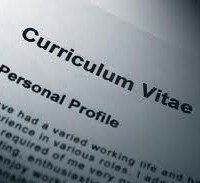 Make sure that what you do include on your CV is relevant for the job you are applying for. After all, you only have 2 A4 pages in which to impress – so why waste valuable space with information that is both irrelevant and inappropriate. Picture the scene – an employer receives an abundance of CVs from candidates – all with similar qualifications and levels of experience. How then can they determine which candidates they should bring forward to interview? The answer? They select the candidates who stand out. The best way to ensure that you are one of those candidates is to differentiate yourself. Make sure that you highlight on your CV particular achievements that you have attained, practical details of how you have made an impact in previous roles and how you made a difference to past employers. That may mean highlighting your performance against targets, detailing awards you have won or outlining any recognition that you have been given by previous employers. The main thing is to ensure that you indicate how you are different to the rest of the pack!